SoftPlanet makes it possible for everyone to get free Skype download directly from our servers. There is no registration needed for downloading. Skype is one of the most popular programs in the world. Developed and released for the first time in August 2003, Skype provides Internet users will free phone calls around the world, an integrated chat system and the opportunity to make video calls. This program also supports making phone calls to recipients on traditional phone networks but this comes at a cost; to use this feature you must have a debit-based user account with some money in it. This free tool also supports videoconferencing and file transfers, which makes it a very versatile communication instrument for anyone who has Internet access at home or on the go. Skype 7.18.32.111 packs so many useful features it is hard to write about all of them. First, the program is completely free, which means you can stay connected to your friends around the world at no cost, unless you want to make phone calls over traditional phone networks. Second, Skype is very easy to use as all the functionality of the program sits right there in front of you. The useful interface that has been implemented also helps in this task – you get a list of your friends to the left and a message window to the right. Finally Skype supports almost all modern modes of communication including videoconferencing, chats, calls on the Internet and over traditional networks. You will stay connected for sure! The interface of Skype is just as easy to use as the whole program. 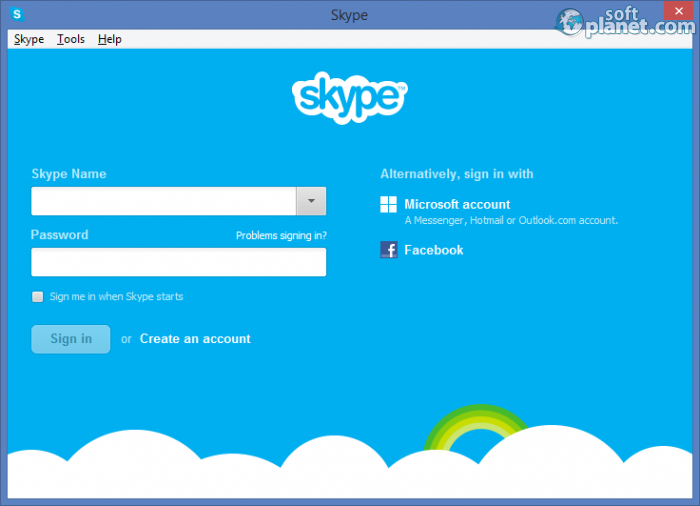 Once you run Skype you will see the program window of this useful tool – it is divided in four major areas. In the left upper corner you will see a link to your Skype profile along with four buttons that will do almost everything for you – you can go to your Skype Home page, start a call, add new people or start a chat in case you don't feel ready for phone calls. The friends list is situated to the left – all of them are listed in an alphabetical order. Once you select a friend you will see his/her profile information in the top middle section of the program window; below you can chat with your friends with all chat history being saved to your computer for later use. 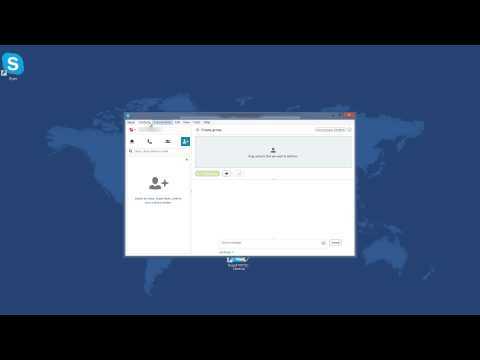 Yes, this is how easy it is to use Skype! 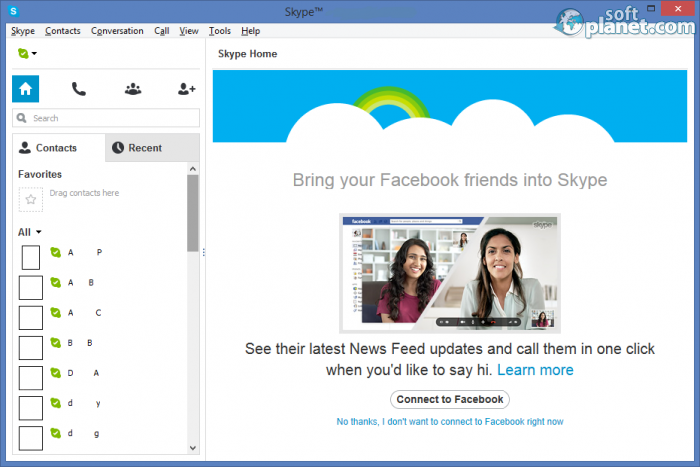 Skype 7.18.32.111 is very easy to use – you must first open the program and then select a friend from your friends list. Then you can either call him/her by clicking on the appropriate button or start a chat. You can also do these same things by right-clicking on your friend in the list. If you install a web camera you can have video conversations too, even videoconferencing sessions. It is up to you! And if you wish to call people on traditional phone networks you must buy Skype credit first but this is easy too as this feature supports online payments. There is no argue about that Skype is the most popular and widespread instant message client in the world. What makes it so famous is that it is free, easy to install and user-friendly. Its capabilities are almost endless, from standard chat to video and conference calling. Don't hesitate and download it in order to keep in touch with your best friends and family. Our security scan shows that Skype is clean from viruses. The current version of Skype has been scanned by our system, which contains 46 different anti-virus algorithms. That ensures that Skype 7.18.32.111 is 100% safe for your computer.